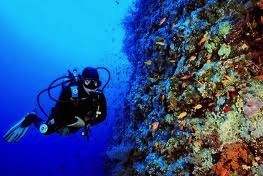 Deep scuba diving is not only challenging but extremely exhilarating! With the PADI Deep Diver speciality course you will be able to experience that excitement first hand by extending your recreational depth limit to 40 metres. By the end of the course you will be confident in your ability to safely dive deeper and understand how to avoid and deal with problems associated with deeper diving. Get familiar with modern digital equipment, whether a point-and-shoot snap camera or a sophisticated D-SLR. Four boat dives in Playa del Carmen.